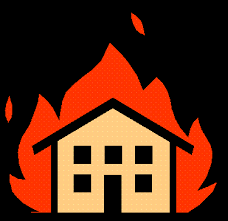 So I recently stumbled across a news story that detailed how a man in Holland Township, Michigan, accidentally set fire to his apartment. The fire spread and destroyed eight other apartments in his building and damaged two dozen other units. When he set fire to his apartment, he was doing something that some might describe as ill-advised. Others would say it was foolish. But to most of us, it was an act of downright stupidity. What was it that he was doing when he set fire to his apartment? The following is a list of possible things the man in Michigan was doing when he started the fire. Which one do you think is the real story? After hearing for years that you shouldn’t microwave metal–he wanted to find out why. After having trouble getting a fire started in the fireplace, he thought that a generous amount of gasoline would aide the proceedings. 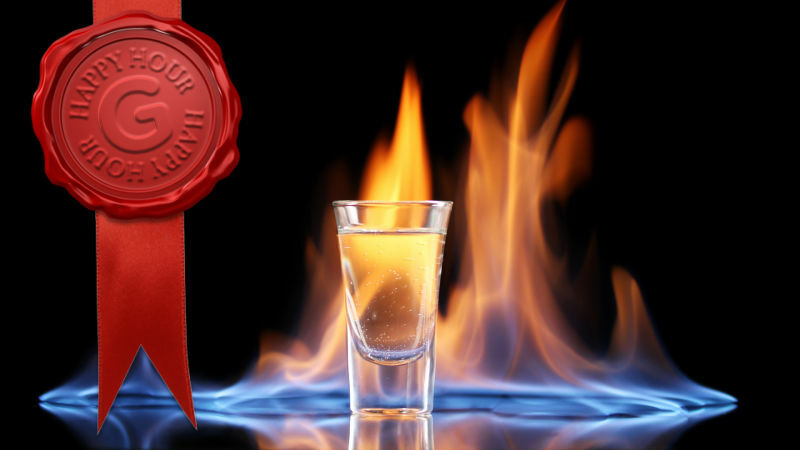 His friends refused to believe that he could spit Bacardi 151 and light it on fire. He simultaneously proved his friends wrong, and relieved them of their eyebrows. In an experiment to find out exactly how fire-retardant his new camping gear was, he doused it with kerosene lit it on fire. It wasn’t nearly as fire-retardant as he had hoped. Feeling a little peckish and having developed a sudden craving for squirrel, he attempted to burn the fur off a squirrel with a propane torch, in preparation to cook it. He inadvertently sets fire to the deck of his apartment. He attempted to make a homemade explosive device. 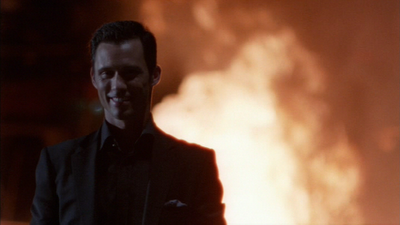 If Michael Westen’s character on the television show Burn Notice can do it, how hard can it be? He was successful…in some regards. Baked Alaska is fun in the restaurant when done by a professional chef. Not as much fun when done at home by an oaf. While trying to contain the Baked Alaska debacle, he discovered to his dismay, the words inflammable and flammable stupidly mean exactly the same thing. A “scientific” experiment, designed to find out if he could melt glass on his stove fails. He does however melt a great many things that day. 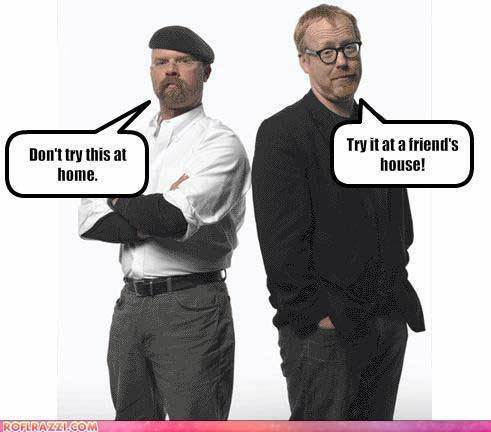 Despite the explicit warning from the guys on Mythbusters, he tried it at home anyway. 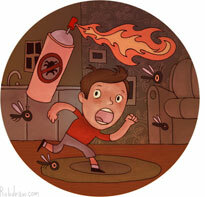 Hoping to enhance the effectiveness of bug spray on a wasp’s nest, he decided to light the spray on fire. It worked: the nest was destroyed, along with half his apartment building. He’s just a huge Talking Heads fan. If you don’t feel like guessing, here’s the story: nbcnews.com. I’m sure the firemen fed him. Hee hee – I was hoping for #8 – just cuz I love that movie. 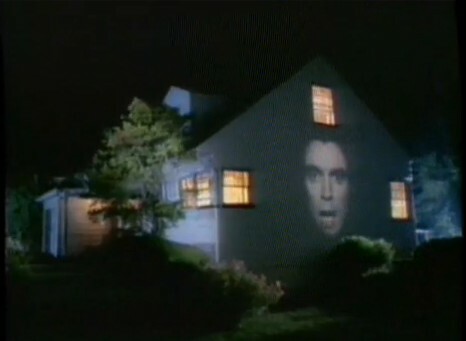 What he really did was way more stupid, and very funny…not for the neighbors I think! Thanx for the LOL! 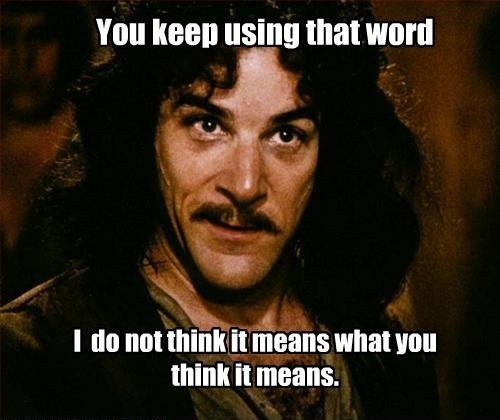 I thought it was about a wasp nest, because I remember reading a story about something like that. Or maybe it was a guy trying to get rid of spiders. I’m sure someone somewhere has done it.